The Arrival by Rose Borchovski at LEA 23. Photo by PJ Trenton. The Susa Bubbles have caught a fish, and while they admire how big it is, the fish dies. They wonder if they are to blame. Rose Borchovski’s new work ‘The Arrival’, at LEA 23, is a continuation of her Susa saga, in which these mischievous and sometimes malevolent childlike beings find themselves in another spiritual and philosophical quandary, brought on by the simple act of catching a fish. I grew up in a small village on the edge of the sea. Once every few years a big fish (small whale) would strand itself on our beach. And that was an enormous happening event: the arrival, this giant big fish lying on the beach, its weight made it impossible to breath, longing for the water, overheated by its own fat, trapped in the sand, slippery and smelly. We would climb all over it, standing on top of its belly, poking it with sticks, jumping up and down for pictures, while the whale was slowly dying under our feet. The beach would turn into a fancy fair, good business for local kibbling (warm fish) and hot chocolate sellers. When the fish was finally dead, there was a grand finale. Men with big boots, shiny yellow raincoats and sharp knives would chop the bubbling and the now very smelly fish up into pieces. Looking at it made our hair smell for weeks. The Susas wonder the same thing, as they repeatedly chant in haunting tones – and you must make sure to have your volume up as you wander this installation. 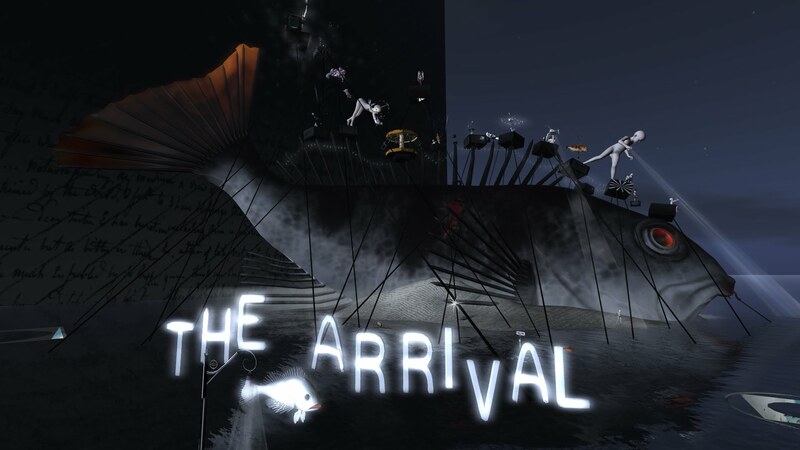 ‘The Arrival’ exemplifies Rose’s continued move away from her earlier tableau-like installations (although sounds were always an important component of those too) towards an increasingly immersive approach in the form of the dynamic use of space, and interactive components achieved through collaborations with the talented scripter Caer Balogh. With a teleport from the landing area, your journey takes you on a somewhat precarious path down the back of this very big fish, which is essentially a massive virtual sculpture. 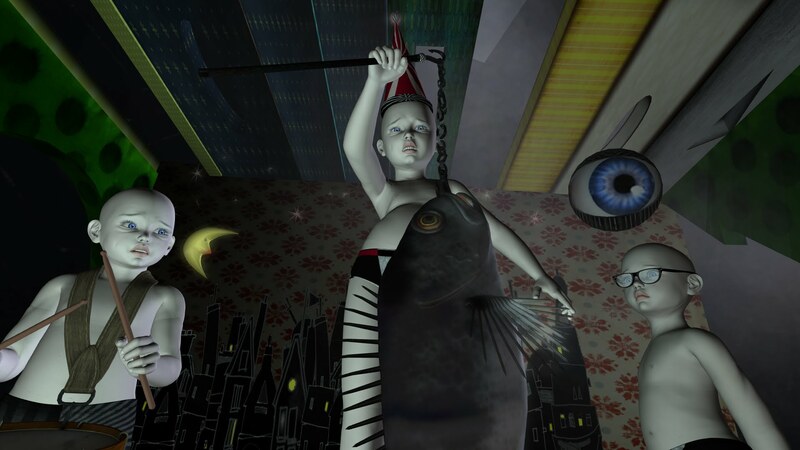 But that is perhaps an over-simplification, as from a formal perspective, this twisted playground exhibits Rose’s increasing mastery in the use of mesh to relate her narrative. The forms and their composition are skilful and beautiful, even if a bit disturbing. Big Fishes Eat Little Fishes, by Pieter Bruegel the Elder. Pen in grayblue on paper. 215 × 302 mm. Vienna, Graphische Sammlung Albertina (inv.no. 7875). I wondered how many of these choices were conscious ones, particularly when pondering a jumbled mix of letters floating on the water that, when puzzled out, spell ‘freedom.’ For me, this referenced the Futurist artist Marinetti’s groundbreaking typographic work ‘Parole in Liberta’ (Words in Freedom). 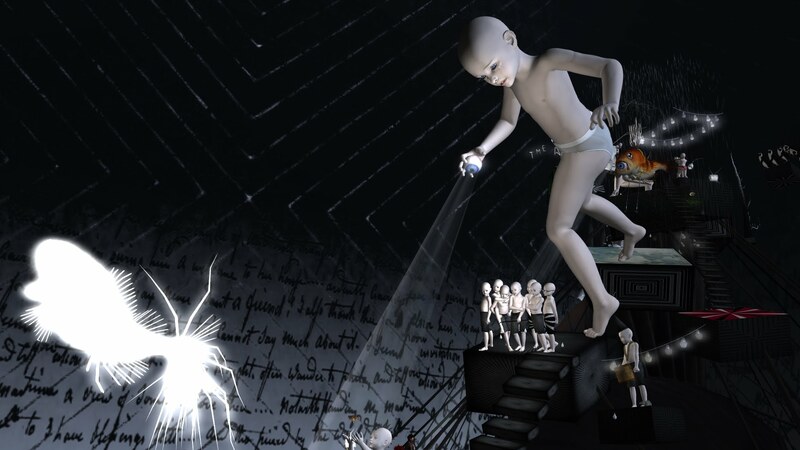 Rose responded: ‘I love layers… in the end we all borrow from the giants that went ahead from us.’ I agree, but the very best artists, in my opinion don’t just borrow, they reinterpret and reinvent, which is why I find Rose’s work so compelling. ‘The Arrival’ opens tomorrow (Saturday the 11th of January) at LEA 23. Go fish for your own story. 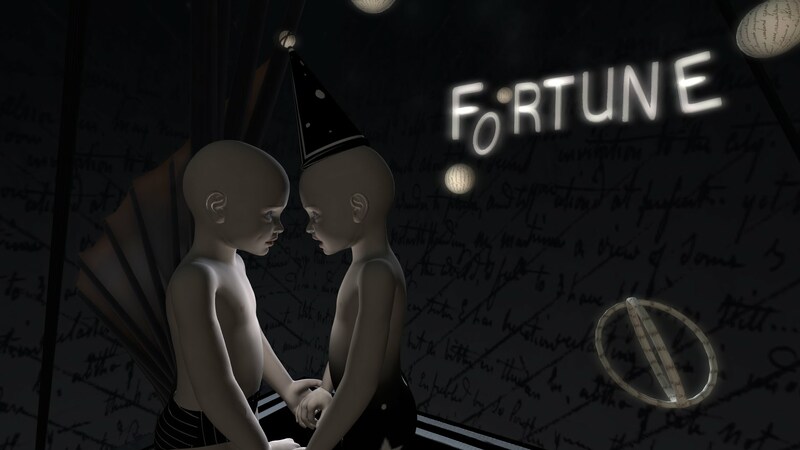 I thank you all for supporting and visiting my art in SL. After some initial hick ups I had a lot of fun making this installation. Of course it is not finished. I will keep tweaking it until it has to die. I’m grateful that the LEA committee granted me this sim to create this installation. Rose Borchovski Amongst her Susas. Photo by PJ Trenton.